Poet and essayist Sheila Bender is teaching a class called Writing from Grief on Saturday, October 27, from 10 a.m. to 4 p.m at Ink Spot (710 13th St). The cost of the workshop is $90-108 and registration can be completed online. 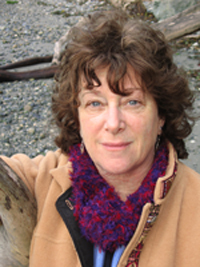 About the instructor: "Sheila Bender is the author of over ten books on writing as well as two collections of poetry and a memoir. Her newest books are Creative Writing Demystified (McGraw-Hill), Writing and Publishing Personal Essays (Silver Threads Publishing), A New Theology: Turning to Poetry in a Time of Grief (Imago Press) and Writing in a New Convertible with the Top Down, co-authored with Christi Killien and available through Brooktrope.com."